Governance is about overseeing the success of the school. It is about agreeing priorities and monitoring progress towards them. It is not about running or managing the school or college – that is the job of paid professionals. Governance is about providing constructive support and challenge to leaders and managers to enable them to do their job to the best of their ability. Strong governance is becoming all the more essential as schools and colleges become more autonomous. Employers can really benefit from involvement with schools and colleges. This is particularly true of staff serving as governors. It helps staff develop valuable skills; enables employers to play a positive role in their community; and allows them to offer an employer perspective to the running of the school or college, its strategy and curriculum. Many of the skills governors acquire are skills that staff might not otherwise develop until much later in their career. They acquire board-level strategic leadership skills and the experiences of working as a senior team. These are valuable skills that governors can bring back into the workplace, which come at no cost to the employer. Together with the Headteacher they set the future direction for the school and decide how the school’s budget should be spent. Governing bodies make decisions collectively on matters such as performance targets, school policies, school’s development plan and respond to Ofsted inspection recommendations. Governors monitor the impact of policies and oversee the use of the school’s budget. They hear appeals from pupils and staff and consider complaints. Governors provide the Headteacher with support and advice, drawing on their knowledge and experience. They ask searching questions and respect the Headteacher’s position as professional leader of the school. Governors work as a team. They are responsible for making sure the school provides a good quality education. Raising educational standards in school is now a key priority; this has the best chance of happening when there are high expectations of what pupils can achieve. Governors also promote effective ways of teaching and learning when setting the school aims and policies. They do this together with the Head, who is responsible for day-to-day management of the school. Heads are chosen by Governors - and most Heads choose to be Governors themselves. The time you devote can vary widely, depending on how involved you become and what needs doing. Being a Governor involves more than just taking an interest, though this is a crucial part of the job. A Governor can also have responsibility for working alongside the school on areas such as Curriculum/SEN/Safeguarding/Diversity. Schools are part of the community they serve - and can provide a focal point for improving life changes for adults too. Everyone has something to offer their local school. But Governors find that they gain a lot too. From meeting new people to gaining new skills. And most importantly the knowledge that you are helping to improve educational standards for young people in your area. If I fill the form in and name a school of my choice will I become a governor there? Not necesserily, schools require governors with particular types of skills on their governing body, however there may be other schools in the area that require your skills. What will you do with the data that I give you on the form? Why should I use Govas and not go directly to the school I would like to be a Governor at? Govas/LA will negociate with Schools and Colleges on your behalf in confidence. Do schools really want governors, will I become a governor when I fill this form in? Schools are desperate for the right Governors on their Governingbody however they have extreme difficulty finding the right person, in other words if you are the right person they are looking for they will offer you a position. I fill this form in and what will happen next? 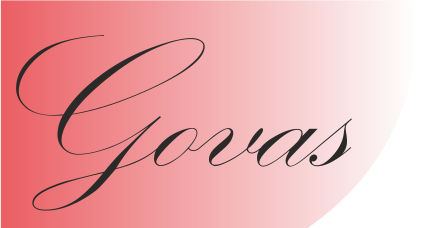 Govas/LA will help you to find a suitable position. What happens if I do not hear anything back? We will keep your information confidently on our database in case a suitable position araises. I really want to be a governor and I am willing to travel? The form has a comments box, please advise us that you are willing to travel and how far. I want to be a Governor but only have limited time to attend meetings.? How old do I need to be to be a Governor or am I to old to be a Governor? 18 years or over and you are never to old to be a governor. If I sign up to be a Governor how long am I committing to the Role? Standard term is 4 Years. What happens if I do not turn up for Governing Body meetings? I really need to ask some further questions before I fill this form in?